Meet Oficers Axel, Mac Beth, and Jack Ripper. yes Mac is the red head. 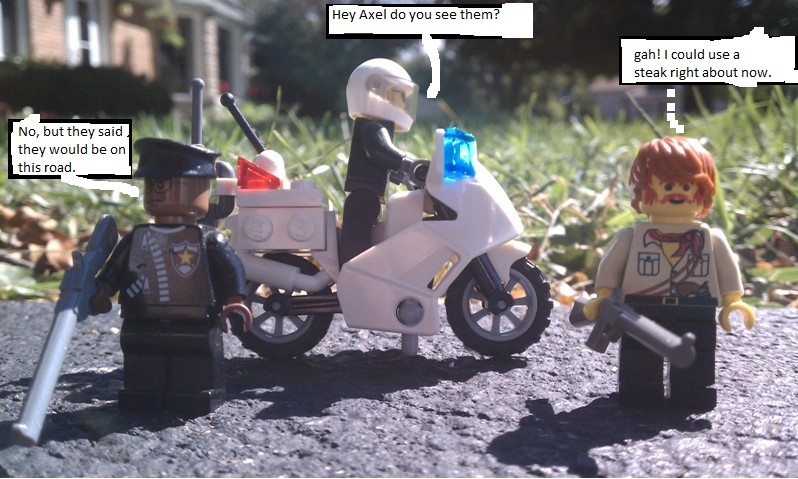 yes Axel is black. We see here that they await Agent Brown and his crew.